As a user with a mobility impairment, I need to be able to adjust time limits, so I can complete tasks. As a user with a mobility impairment, I need to use multiple input devices, so that I can interact with the environment. As a user with a mobility impairment, I need a focus indicator, so I can identify which element has focus. As a user with a hearing impairment, I need to be able to turn off ambient soundscapes, so I can hear interface elements such as clicks, bleeps and transitions. As a user with a hearing impairment, I need visual or haptic equivalents of aural interfaces, so I can interact with interface elements. As a user who hears better in one ear, I need to be able to control the location of spatialized audio, so I can hear interface elements. As a user with a hearing impairment, I need captions of dialog, so I can read what is being said. 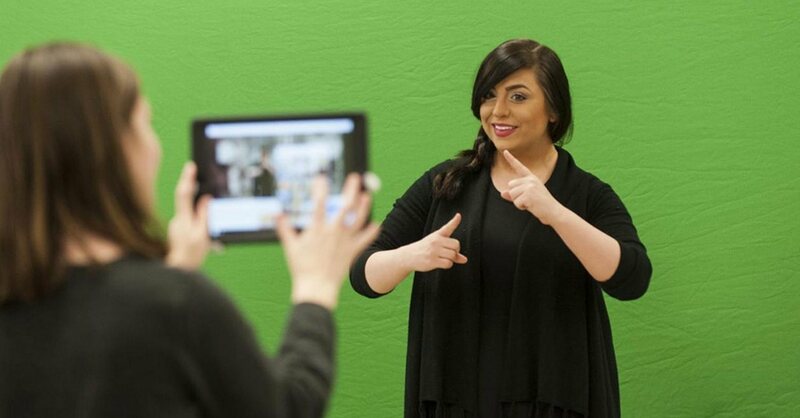 Phoebe Kaplan films Maggie Bork as she signs an American Sign Language poem. 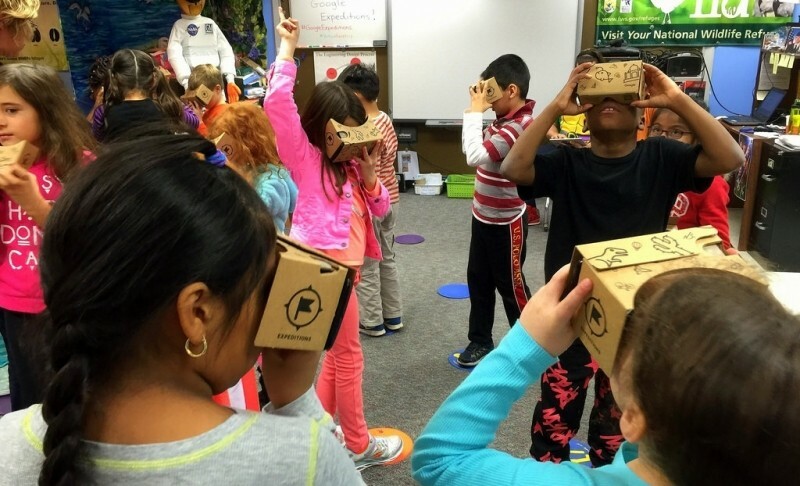 The video was incorporated into a virtual reality mobile application. Photo courtesy of UNCG. As a user with a photosensitive seizure disorder, I need to avoid three flashes in a second, so I do not have a seizure. As a user with a cognitive impairment, I need training and time, so that I can learn the environment. As a user with a disability, I need suggestions on how to fix input errors, so I can easily correct mistakes. As a user with low vision, I need to be able to increase text size, so I can read without a screen magnifier. As a user with low vision, I need to have sufficient contrast between text and the background, so I can read the text. As a user with no vision, I need verbal descriptions of interactions, objects and locations, so I can navigate. As a user who cannot who has difficulty perceiving odours, I need a visual equivalents, so I can perceive olfactory events. As an older user I need training and time, so that I can learn the environment. 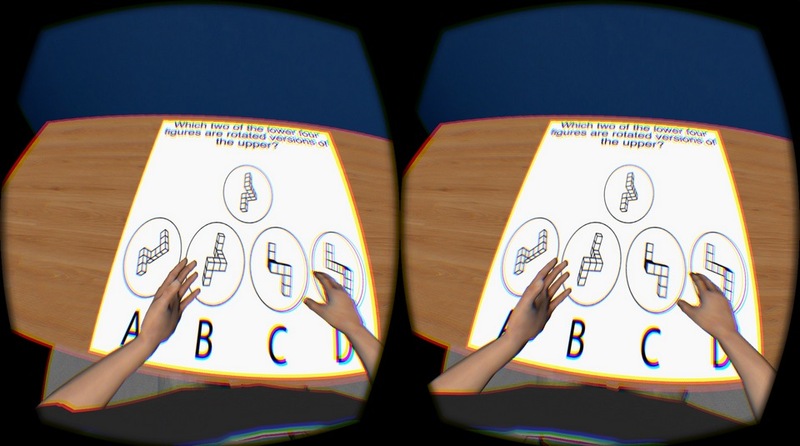 How do we define the learning outcomes of virtual reality interactions? How do we evaluate the success of virtual world interactions? Citation: Gregory, S., Lee, M.J., Dalgarno, B. and Tynan, B. eds., 2016. 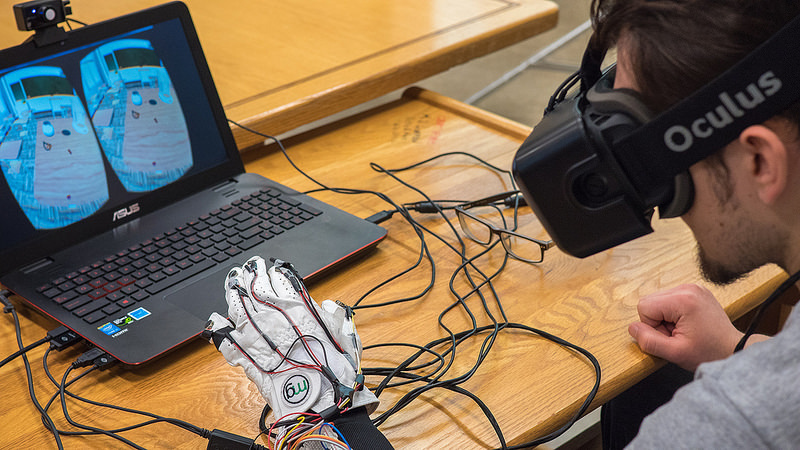 Learning in Virtual Worlds: Research and Applications. Athabasca University Press. Citation: Wankel, C. and Malleck, S.K., 2010. Emerging ethical issues of life in virtual worlds. IAP. Non-visual virtual interaction: Can Sensory Substitution generically increase the accessibility of Graphical virtual reality to the blind? Citation: Maidenbaum, S. and Amedi, A., 2015, March. Non-visual virtual interaction: Can Sensory Substitution generically increase the accessibility of Graphical virtual reality to the blind?. 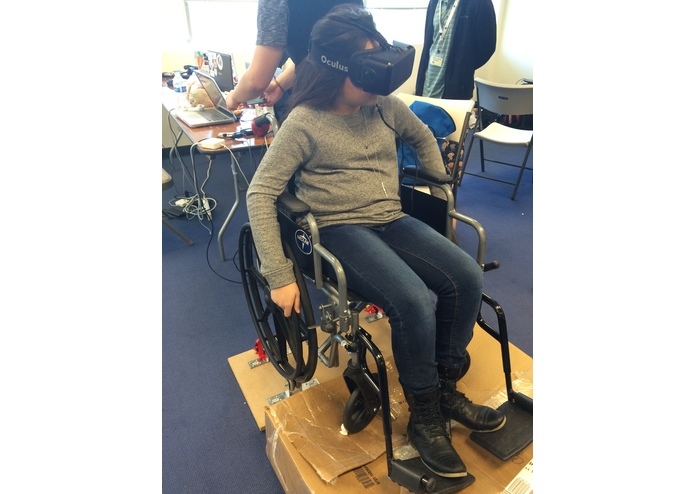 In Virtual and Augmented Assistive Technology (VAAT), 2015 3rd IEEE VR International Workshop on (pp. 15-17). IEEE. An initial exploration of a multi-sensory design space: Tactile support for walking in immersive virtual environment. Citation: Feng, M., Dey, A. and Lindeman, R.W., 2016, March. An initial exploration of a multi-sensory design space: Tactile support for walking in immersive virtual environments. In 2016 IEEE Symposium on 3D User Interfaces (3DUI) (pp. 95-104). IEEE. Citation: Ischer, M., Baron, N., Mermoud, C., Cayeux, I., Porcherot, C., Sander, D. and Delplanque, S., 2014. How incorporation of scents could enhance immersive virtual experiences. Applied Olfactory Cognition, p.119. Citation: Rizzo, A.A. and Kim, G.J., 2005. A SWOT analysis of the field of virtual reality rehabilitation and therapy. Presence, 14(2), pp.119-146. Citation: Garrett, B., Taverner, T., Masinde, W., Gromala, D., Shaw, C. and Negraeff, M., 2014. A rapid evidence assessment of immersive virtual reality as an adjunct therapy in acute pain management in clinical practice. The Clinical journal of pain, 30(12), pp.1089-1098.